Rattray’s on MalaMala is an old colonial farmhouse that has been lovingly restored and converted into an ultra-luxurious safari lodge. The lodge only has eight beautifully suites accommodating maximum 16 people, and no children under the age of 16 are allowed. A no kids policy makes this an idea quite holiday a sense of calm and tranquility, which can be felt throughout the lodge. 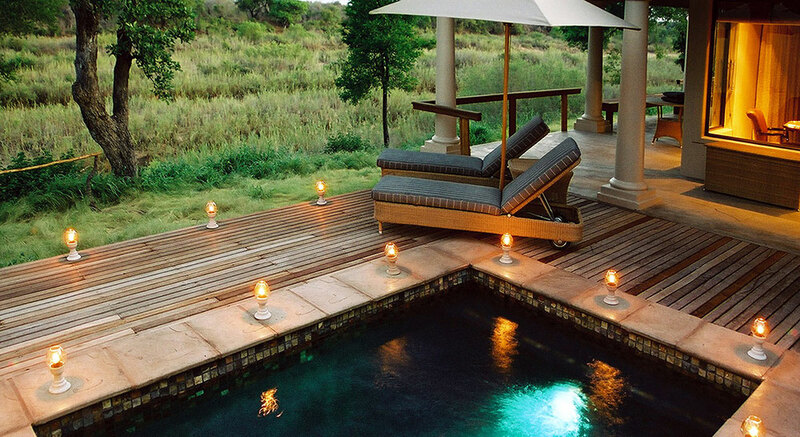 Rattray’s on MalaMala is the smallest and most luxurious safari lodge in the MalaMala Game Reserve in the Sabi Sand. The lodge offers luxurious accommodation, wonderful food, privacy and most importantly excellent game viewing. At Rattray’s on MalaMala, eight suites overlook the Sand River. The suites are very spacious with a large living area and a spacious bedroom, all suites also have his and her bathrooms. The best part of the suite is arguably the large private deck overlooking the bush, here guests will also find their own private heated plunge pools. The safari at Rattray’s on MalaMala is genuinely excellent. Only four guests per safari vehicle are allowed, ensuring you get undivided attention from your experienced guides. Guest are also free to decide when and for how long they want to go on a game drive, at Rattray’s on MalaMala there is no need to get up and dawn to go on safari. Want to see Rattray’s on MalaMala as part of a trip? Enquire today to let us help build your holiday.